Holiday Gift Picks for 2006 Ned Wharton, musical director for Weekend Edition Sunday, offers a collection of recordings offbeat enough to surprise your favorite music lover this holiday season. Ned Wharton, musical director for Weekend Edition Sunday, offers a collection of recordings offbeat enough to surprise your favorite music lover this holiday season. The holiday shopping season is now in wacko, crazy, bustling, insanity, get-out-of-my-way, cheese-ball, Tickle-me-Elmo full gear. If you're looking to give the gift of music this year, you might want to look beyond the usual Justin Timberlake, Jay-Z or Nickelback CDs. So our music director, Ned Wharton, brought us some suggestions from off the beaten path with something for jazz, rock, classical and world music fans. Here's his annual gift guide for 2006. NED WHARTON: One of the strongest CDs of the year came out just last month. The Decemberists, out of Portland, Oregon, had a sometimes folksy and genteel sound on their last CD, "Picaresque." Maybe the fact that it was recorded in a church colored the tone of the songs. But now their music has truly evolved, with an exciting edge to it on their latest record, "The Crane Wife." SOUNDBITE OF CD "THE CRANE WIFE"
THE DECEMBERISTS (Music Group): (Singing) It was the perfect, the perfect, the perfect, the perfect, the perfect crime. It was the perfect crime. WHARTON: Another disk for modern pop fans might be this one from Jon Auer. He broke away from his group, The Posies, this year to follow his own muse with a solo CD, "Songs from the Year of Our Demise." Like his music with The Posies and the recent collaboration with Big Star, this record is full of lush and melodic anthems such as this one, "Angelita." WHARTON: So how do you buy for Generation Y? Well, here's something for tweens and beyond, and it's fun for all ages. SOUNDBITE OF CD "FREE TO STAY"
WHARTON: This is Smoosh - two sisters from Seattle with a new CD this year called "Free to Stay." Jason McGerr, from the group Death Cab for Cutie, met the pair in a music shop in 2002, heard their playing and soon became a mentor. Twelve-year-old Chloe plays drums with confidence and power, and 14-year-old Asya plays keyboards and sings with a surprisingly mature voice. 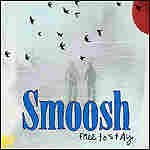 SMOOSH (Music Group): (Singing) (Unintelligible) finds a way (unintelligible). WHARTON: For the more traditional rockers on your holiday list, check out this tribute to Jimi Hendrix by guitarist Phil Brown. Mr. PHIL BROWN (Musician): (Singing) (Unintelligible) depression captures your soul. WHARTON: Now some entrancing music for world music fans. Ejigayehu Shibabaw, now known as GIGI, was a singer with the national theater in Ethiopia and grew up listening to traditional and church music. 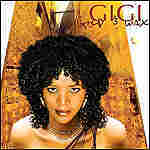 In the late '90s, she made her way to Oakland, California, on tour with her favorite singer, Ethiopian star Aster Aweke. Producer Bill Laswell helped her develop the rich and hypnotic sound of her new CD, "Gold and Wax." SOUNDBITE OF CD "GOLD AND WAX"
WHARTON: Now, don't forget the classical-music lovers on your gift list. If you're unsure whether they're interested in something modern or more traditional, this disk of violin and cello duos spans the centuries nicely. 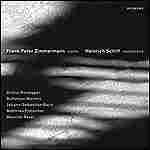 On the ECM New Series, Frank Peter Zimmermann and Heinrich Schiff play music from Bach to Ravel and beyond. Here's a bit of the sonatine by Arthur Honneger from 1932. WHARTON: And as winter takes hold, it's nice to have some fireside jazz in the music mix. 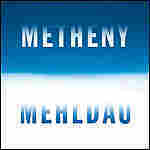 And here's something that came out this year from guitarist Pat Metheny and pianist Brad Mehldau. Ironically, this cut's called "Summer Day," but it still sounds right for a winter's eve as flames crackle up the chimney. SOUNDBITE OF SONG "SUMMER DAY"
SOUNDBITE OF SONG, "GOD REST YE MERRY GENTLEMEN"
WHARTON: Finally, a few CDs for the Christmas season. This one's perfect for the spirit of giving, too. 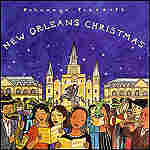 A portion of proceeds from Putumayo's New Orleans Christmas goes to Habitat for Humanity and the Musician's Village Project. On the CD are cuts like this one, from Ellis Marsalis, the Heritage Hall Jazz Band, and this one made famous by Louis Armstrong, sung here by Ingrid Lucia. Ms. INGRID LUCIA (Singer): (Singing) (Unintelligible) give me a scare, (unintelligible) I know you are there. We don't believe in no goblins today. I can't explain why I'm shaking this way. (Unintelligible) in a keyhole, I'll get to the (unintelligible) Santa Claus. WHARTON: Kickin' it up a notch, here is some holiday fun from funk legend Bootsy Collins, the flamboyant bass player from Parliament-Funkadelic. Mr. BOOTSY COLLINS (Singer): (Singing) Talkin' about Rudolph, Santa Claus. This is when all the fun has begun right here. This is a time in a city, (unintelligible). CHORUS: Christmastime in the city, (unintelligible). It's Christmas time in the city. 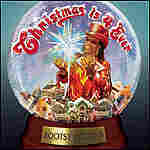 WHARTON: Bootsy Collins's Christ is 4 Ever includes a handful of new songs, such as this one, specially written for the season, as well as funkified versions of Jingle Bells, Sleigh Ride and more. 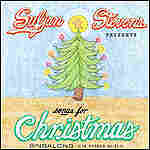 Singer-songwriter Sufjan Stevens was a self-professed Scrooge when it came to Christmas carols, but over the years, he determined to face his yuletide demons and started sending MP3s of his arrangements of seasonal songs to his friends. SOUNDBITE OF SONG "THE LITTLE DRUMMER BOY"
WHARTON: Sufjan Stevens' entire Songs for Christmas collection is now a box set complete with Christmas stickers, lyric sheets and chord charts. Some of the songs are schlocky, but there are also some original and thoughtful arrangements. I like this one, a short and simple instrumental gem that gently brings the holiday home. SOUNDBITE OF SONG "SILENT NIGHT"
SEABROOK: WEEKEND EDITION's Ned Wharton. His Director's Cuts, including full music selections, can be found on our Web site, npr.org. SOUNDBITE OF SONG, "SILENT NIGHT"
Music for 'tweens and beyond from energetic Seattle sisters Chloe & Asya. Jason McGerr from Death Cab for Cutie discovered the two in a music shop and soon became their mentor. Ages 12 and 14, they released their CD Free to Stay this year. Two jazz giants team up for a rich CD of guitar and piano collaborations, perfect for fireside listening. Music from classic to modern is on a CD of sparkling duos by violinist Frank Peter Zimmermann and cellist Heinrich Schiff. It features Bach, Ravel, Martinu, Honegger and Pintscher. 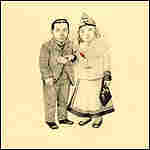 While their previous CDs were a bit more folksy and genteel, The Decemberists have taken on an edgier sound for their latest, The Crane Wife. Full of seasonal classics performed by everyone from Ellis Marsalis to the Heritage Hall Jazz Band and the Dukes of Dixieland, this CD is also a benefit album with a portion of proceeds going to Habitat for Humanity's Musicians' Village Project. Singer/Songwriter Sufjan Stevens really hated traditional Christmas carols, but decided it was time to come to terms with them. Over the years he sent mp3s to his friends of his own arrangements of yuletide songs both schlocky and sublime. Now a full box set of them has been released on CD, complete with Christmas stickers, song lyrics and chord charts. Time was when Aster Aweke was the shining star of Ethiopian pop, but now there's a new voice from the Horn of Africa: Ejigayehu Shibabaw, a.k.a. GIGI. Producer Bill Laswell helped shape her hypnotic new CD, Gold & Wax. 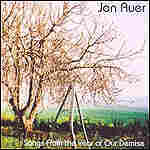 Jon Auer took time off from his work with The Posies to release a solo CD called Songs from the Year of Our Demise, featuring melodic anthems that recall both his music with The Posies and Big Star. Guitarist, songwriter and classically-trained violinist Phil Brown has boldly released a CD of Hendrix classics called The Jimi Project. Not just anyone could pull this off, but Brown does some amazing work with electrifying playing and an originality that puts a personal stamp on some well-known '60s hits. Christmas Is 4 Ever features funkified versions of everything from "Jingle Bells" and "The Christmas Song" to "Winter Wonderland." The legendary Parliament-Funkadelic bass player has also whipped up a few new originals for the season. 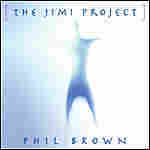 The Jimi Project is available at Phil Brown's Web site.